This beautiful home in the historic district of St. Charles served as the Baue family home from 1949 to the early 1970’s and has become a landmark in St. Charles. 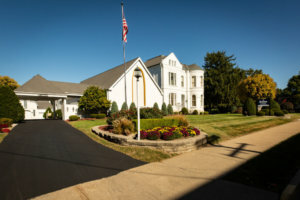 A large chapel and additional rooms were added in the late 1960’s to accommodate the growing population of St. Charles. 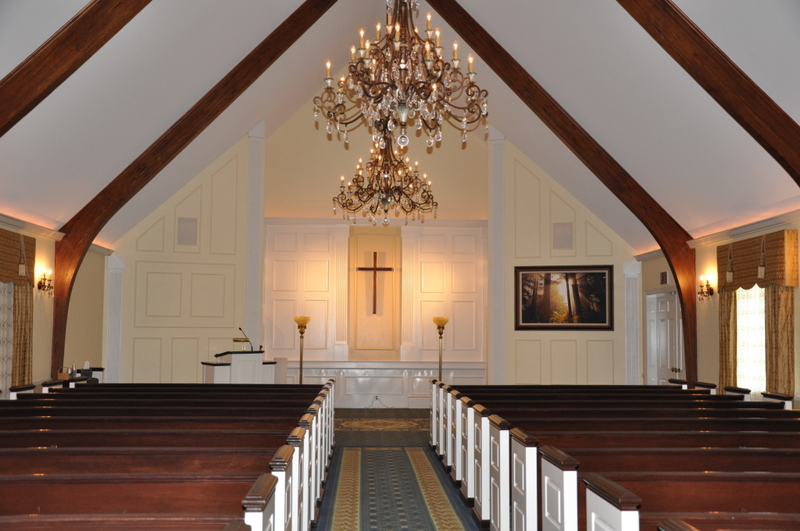 Large chapel with seating for more than 175 with the ability to open into an overflow room seating up to 250. Five spacious and comfortable visitation rooms from which to choose. A comfortably appointed lounge is available in the lower level offering refreshments, television and easy chairs. A separate children’s area offers helpful books and activities, child-size table and chairs. Reception & Dining Center, located next door to the funeral home in the renovated portion of the historic Powell Home (home of the first mayor of St. Charles, Ludwig Powell) is a spacious, lovely place for families to gather for private dining, memorial gatherings and after-service receptions with seating up to 50 people. 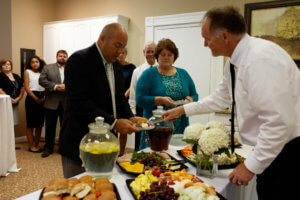 Complete catering services are available. Our company had a humble beginning in 1935 when Arthur C. Baue, then active in funeral service in St. Louis, and Clarence Hackmann, who was well known throughout St. Charles, rented a large residence at 326 N. Sixth St. It was here they opened Hackmann-Baue Funeral Home. 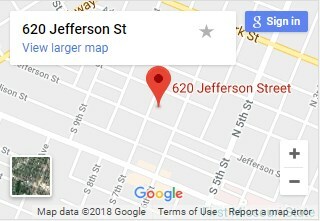 In 1948, the two men purchased the beautiful Salvater home at 620 Jefferson St. After Mr. Hackmann’s death in 1949, Arthur Baue became sole owner and president of the Baue Funeral Home. The home on Jefferson served as the Baue family home for many years. Funeral services were conducted on the first floor and the family’s living quarters were upstairs. The stately Victorian home on Jefferson Street has become a landmark in St. Charles. A large chapel and additional rooms were added in the 1960’s to accommodate the growing population of St. Charles. 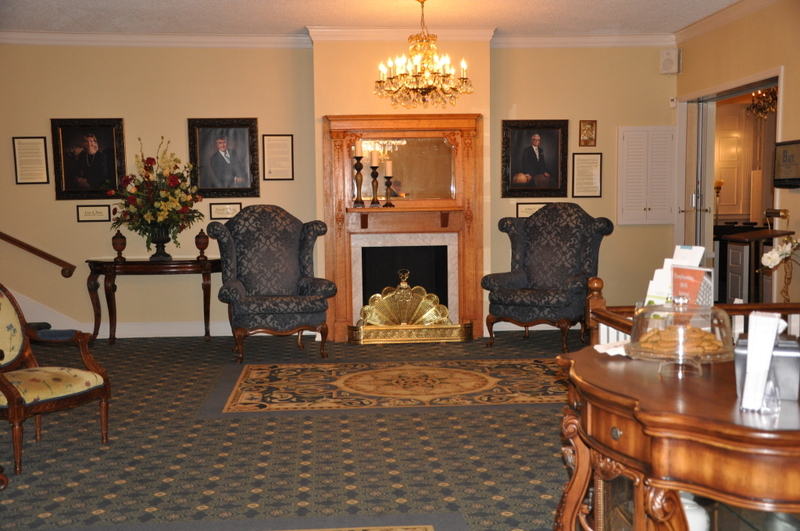 Today our St. Charles funeral home includes a large chapel with seating for more than 175. This chapel is ideal for larger serices, with the ability to open into an overflow room. Services can be audio and/or video taped. Professional musicians can be secured or musical CD’s are available, as well as a video screen to enhance the service. There are five spacious visitation rooms from which to choose. Parlor A is part of the original home built in the 19th century and offers a comfortable Victorian decor with antique furniture. Parlor B, immediately across the hall, offers the family an extra room for more private conversations or additional guests. 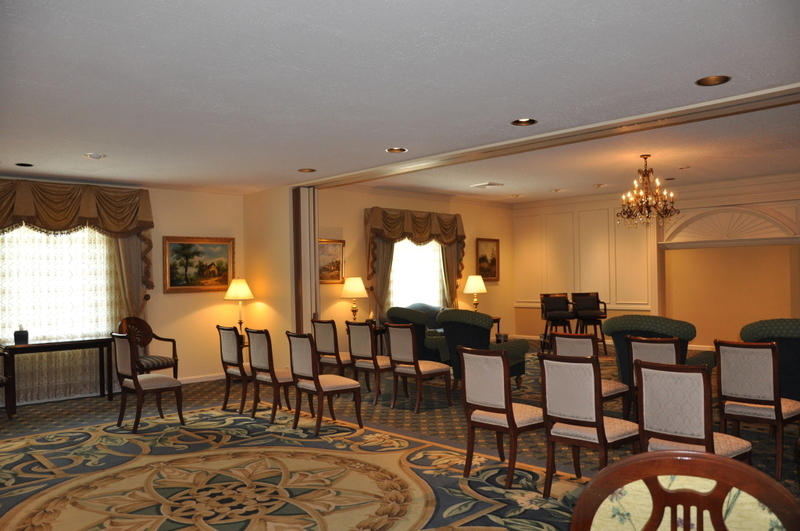 Our other three rooms offer options from a small, intimate gathering to a larger funeral or memorial service. 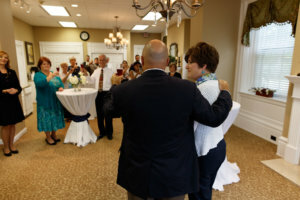 These rooms offer a spacious, comfortable and relaxed environment — much like your own home — with seating capacity up to 200 people, and large enough to accommodate many floral arrangements and memory tables. 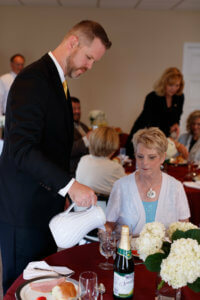 Attendants are on-hand to help with any needs. Services may be videotaped and special music is available or you may choose to bring your own. A comfortably appointed lounge is available in the lower level offering refreshments, television and easy chairs. An attendant is on duty to satisfy your needs. A separate children’s area offers helpful books and activities, child-size table and chairs. A childcare provider can be secured if requested. 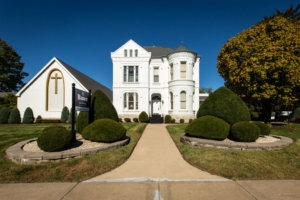 A newly renovated portion of the historic Powell Home, built in 1838 by the first mayor of St. Charles, houses the Family Dining & Reception Center. 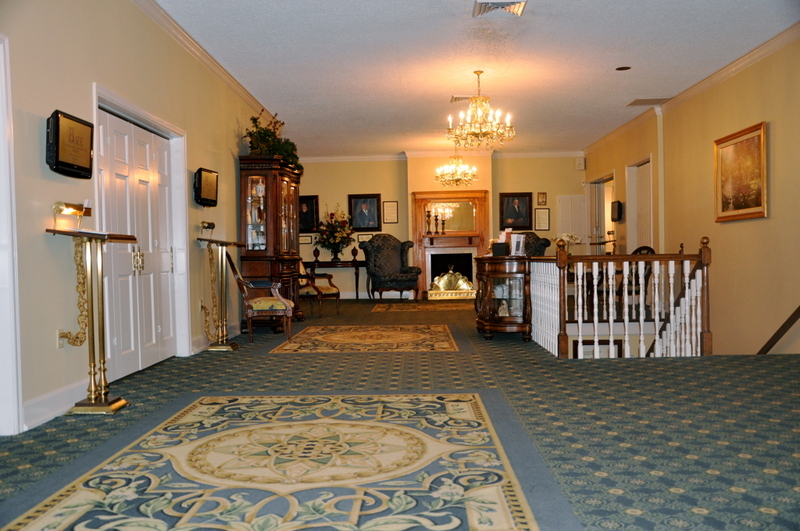 This spacious area, next door to the funeral home, is a lovely place for families to gather for private dining, memorial gatherings and after-service receptions. Complete catering services are available, with seating up to 42 persons.